Acumatica accounting offers a robust ERP package for growing mid-sized manufacturing firms. Most of our manufacturing customers have at least a passing knowledge of machine learning and AI. After all, many factories now use AI for some portion of the process. You probably know what AI does, but do you know what AI is—and what it’s not? How about machine learning? By understanding the basics of each, you can apply them in better ways to your business to improve productivity. Most ERP systems provide real-time information. This can be used to assess inventory turnover, financial health, or other important aspects of your business. But they can’t tell you when inventory levels are running low, and big orders are on the horizon. You’ll need to make snap decisions based on the information at hand whether to order more supplies or wait until the order closes. That’s where AI and ML systems come into play. These systems work together to provide complex information in one place for faster, better decision making. 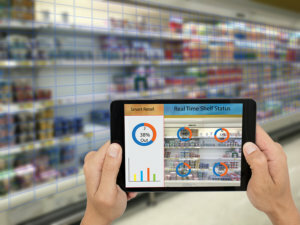 Machine learning, for example, can gather routine data on a preset schedule so you can have advance warning of big sales closing or low levels of essential supplies. AI automates complex processes and identifies future trends based on historical data. Best of all, these machine-based queries and insights are unbiased; they don’t care whether that big sale comes from Ralph or Susan and that Ralph brags a lot but rarely closes a deal while Susan knocks them out of the park. The AI and ML systems look at the data. Such systems offer predictive intelligence that gets better over time, saving you a great deal of time, effort, and headaches. An accounting program alone provides data that helps companies manage their business. A simple accounting program, for example, offers information on the current bank balances, accounts receivable, and accounts payable. It handles and processes basic data to perform functions that save a business owner time and effort. The average CFO must, however, sort through multiple sources of data to find what he needs. Now imagine artificial intelligence layered on top of an accounting program. Instead of sorting through piles of spreadsheets, queries provide all CFOs need to manage the company’s finances. They can find at a glance the balance from their best customer, assess what’s owed to a supplier, or compare quarterly income. If you want to learn more about Acumatica accounting and ERP with MI and AI, visit the Emerald TC Acumatica resources page. Here you can find training videos, tips, and tricks to get even more from your Acumatica system. Machine learning and AI are transforming how accounting functions throughout your company. Machine learning can acquire new skills, adding to its body of knowledge over time. For example, if you always pull reports on a Friday, machine learning systems can predict you’ll need that report on Friday and suggest routine report generation. Other repetitive tasks, alerts, and updates can also be performed by your system using ML and AI algorithms, reducing the number of repetitive tasks you have to remember and freeing up your time for bigger, better things. Let’s face it: you’re busy. Who isn’t? The average CFO juggles many responsibilities and provides insight into business operations based off financial data that every manager in your company needs. Augmenting their expertise with AI and ML-based systems, such as Acumatica Accounting, saves time and effort that can be put into solving the many problems your business faces. Get started with Acumatica today. Emerald TC provides software and consulting for manufacturing companies. We can help you choose the right ERP system for your needs and offer Acumatica and other software packages for every type and size manufacturing company. Contact us or call 678-456-6919 for more information.